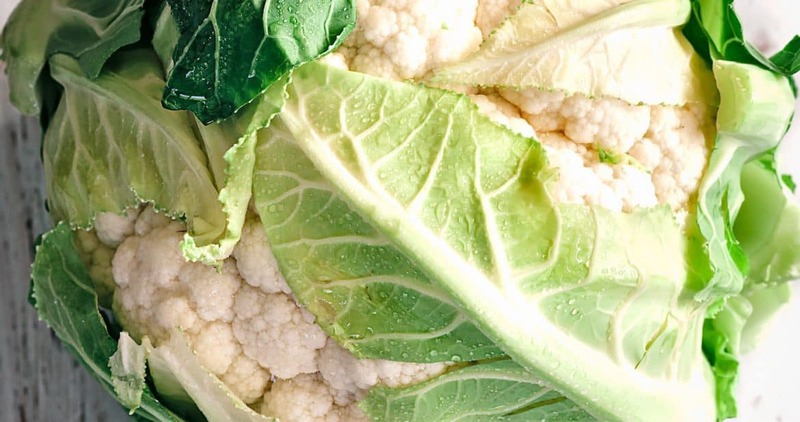 Cauliflower is like the Goldilocks of the Brassica family. She wants everything just right – not t0o cold, not too hot, not too wet, not too dry. If you are a new gardener, I recommend that you start with Romanesco (that’s the cool green cauliflower with the amazing spiral patterns). Although it looks like a super-specialty vegetable, my experience is that Romanesco is actually easier to grow than the standard white cauliflowers in spring. Start Cauliflower under lights with the rest of your spring brassicas from mid-February to mid-March and plan to set 4 to 6 week old plants out in late-March or April. Don’t rush your cauliflower seedlings out into cold soil and harsh weather, however – if you opt for an earlier start date be ready to offer your cauliflower transplant some protection from spring rains and chill. In Spring, grow early season, fast maturing cauliflower . This will be listed in seed catalogs as taking about 55-70 days to mature. In the Pacific Northwest, overwintering cauliflower is actually far easier to grow as long as we don’t get a freaky cold snap winter.